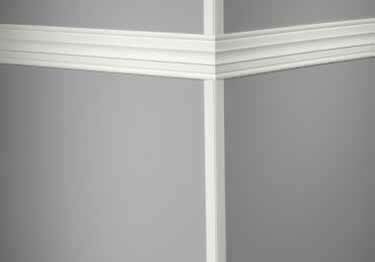 Johnsonite Millwork Vinyl Corner Guards are designed to coordinate with each other and with other elements in the space, they help simplify the finishing process. The true beauty of Millwork, however, could be the cost savings versus real wood. Lower initial costs combined with ongoing maintenance savings makes Millwork a high-performance solution that helps boost productivity and ROI. Can this be attached with regular construction adhesive like liquid nails? Johnsonite® Millwork Vinyl Corner Guards have the true beauty of Millwork, however, could be the cost savings versus real wood. This is the third time ordering the corner guards. Heavy duty, durable material with nice colors. Thank you for the review. We very much appreciate your feedback, and of course your on-going business. We will continue to work hard to maintain it. The absolute worst customer experience Ive ever had in 35 years in construction. I was told by the customer service rep when I placed my original order on May 3 that I would be receiving the corner guards in 3 weeks which I in turn relayed to the owner and now four weeks later was told that I may or may not receive them in another additional 4 weeks. I had to eat crow and go back to the owner with my tail between my legs and explain that it is out of my control. He wanted to know why I had said 3 weeks. Buyer beware. If I could do it all over again I would have ask the architect to pick a different vendor. I just saw a review you recently left regarding your corner guard order. I would like to express sincere apologies for the delay in the order. I went back through the timeline and see that on May 5 we were notified by the Johnsonite production department that they did not have sufficient stock for this color and size and production would be 3-4 weeks. Typically the estimate from production is right on, if not a bit over, just in case. Unfortunately, due to circumstances that are beyond our control as a distributor, Johnsonite's production of this order has gone over the 3-4 weeks and into 5 weeks. Delivery should be received by you between June 10 and June 12. i'm not sure who told you it was going to be another 4 weeks, but that is not the case and i'm sorry for any miscommunication on our end. I did find out today that there are 10 pieces in stock that they could get out right away. Would a partial shipment be of any benefit to you? Please let me know and I can get that started. We recieved quite a few of the corner guards for a job involving a very difficult to please decorator staff. Product was perfect for the application. I was also concerned about the adhesion onto laminate walls we installed, but again it was perfect. Excellent product which we will use again. Very Good company to work with from ordering to receiving-Good pricing as well. Product is just as advertised. I was very pleased by the very reasonable pricing and also the quality of the product. We used it to cover some laminate partition walls and it was perfect for this application. Johnsonite Millwork Rails have the true beauty of real millwork, but doesn't scratch or dent.